Immediately after 33 joins 30, we’ll approach I-69. 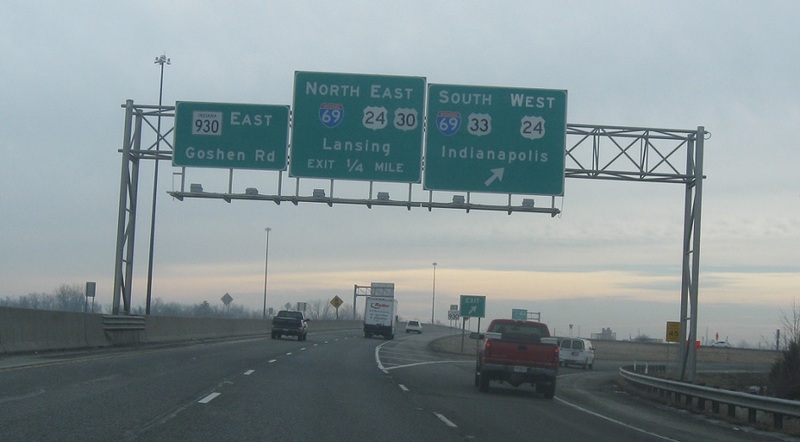 Exit for I-69/US-33 south and US-24 west towards Indy. 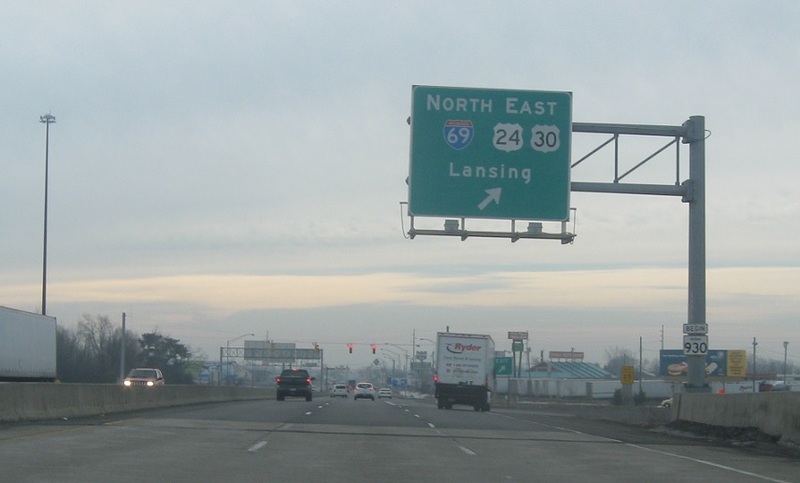 Just after US-30 exits here, the road transitions to Indiana 930, the old routing of US-30 through Fort Wayne. 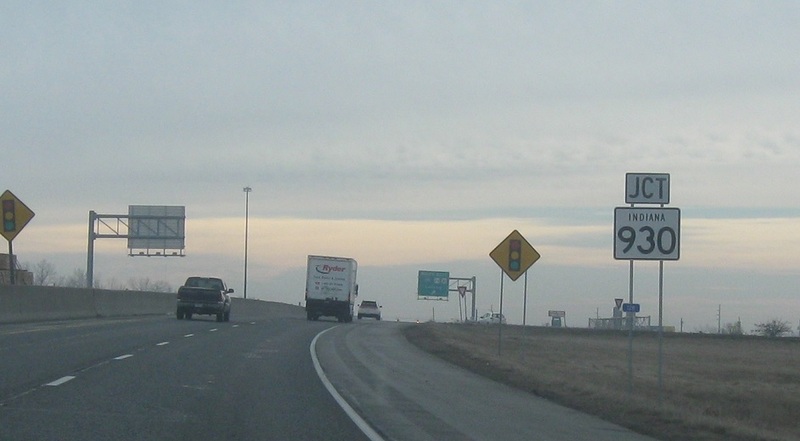 Exit for I-69 north and US-24/30 east. Indiana 930 begins.